I’m in Montreal, and I’m looking over the river, and I see it! 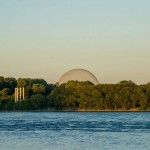 The Montreal Biosphere! It seems glorious in the blue sky, and I think to myself, I’ve always wanted to go there and see this interesting metal sphere. 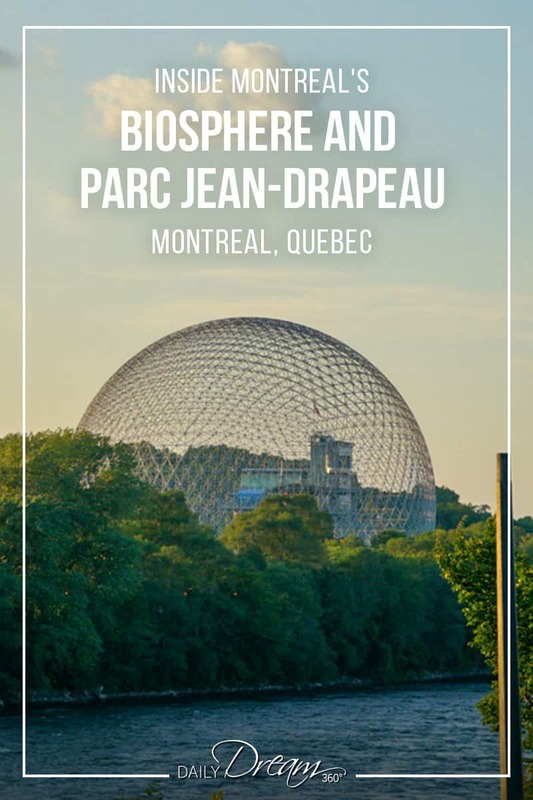 I decided to jump on the subway and head towards Parc Jean-Drapeau home of Montreal’s Biosphere. 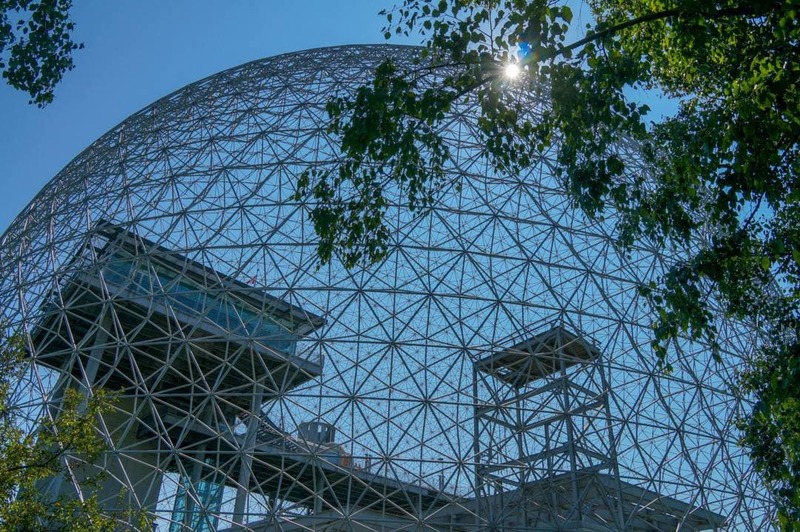 Just steps from the island’s subway stop I walked toward the fantastic sphere starting to get my first look inside. It’s funny I’ve always thought it was glass and I’ve always wanted to go inside. 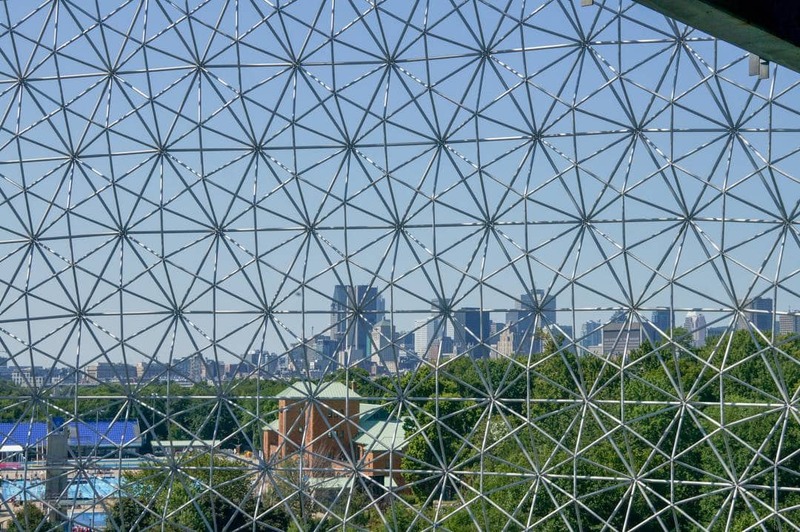 I had no idea what was even in there until now: the Biosphere is home to the Museum of the Environment. The signs leading up to the giant sphere start to educate about the world’s greatest environmental issues. 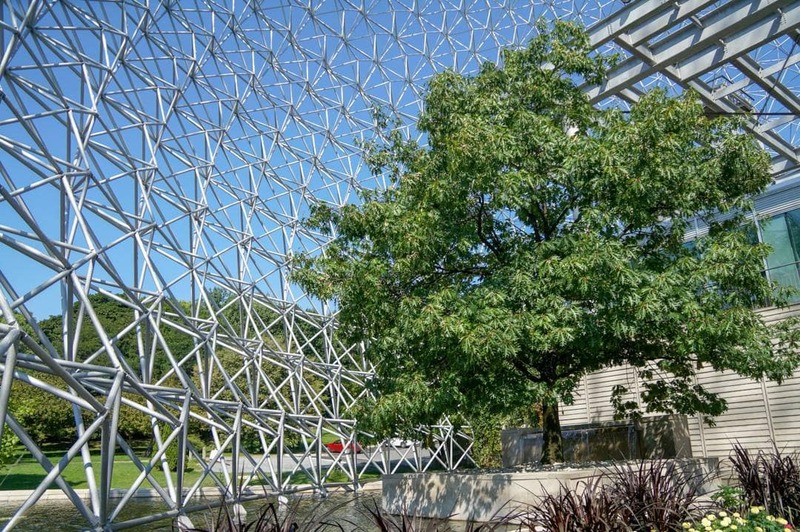 Air pollution, water, sustainable development these are the themes of Montreal’s Museum of the Environment. 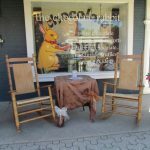 I walk through the double doors and gasp! Finally, I’m inside! 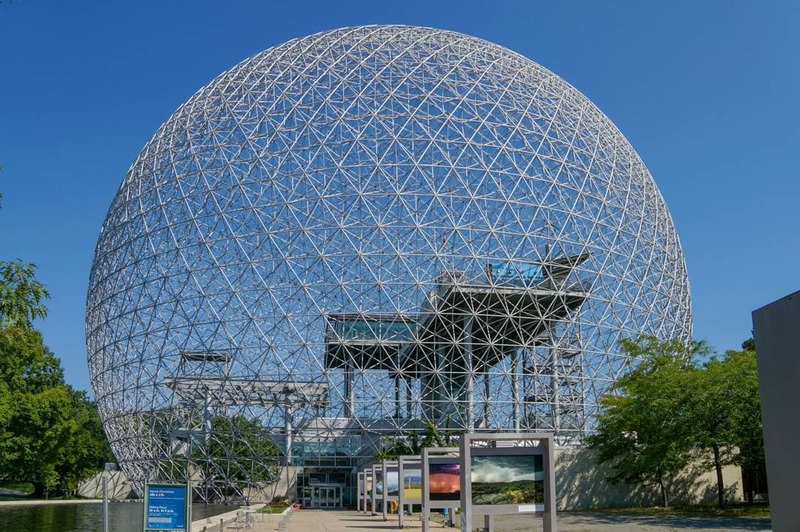 All I want to do is go up to the giant observation platform inside the sphere and start taking pictures of the view. However, there is more to see including some exhibits and educational activities all geared towards educating us on the major environmental issues including air, water, biodiversity, climate change and sustainable development. 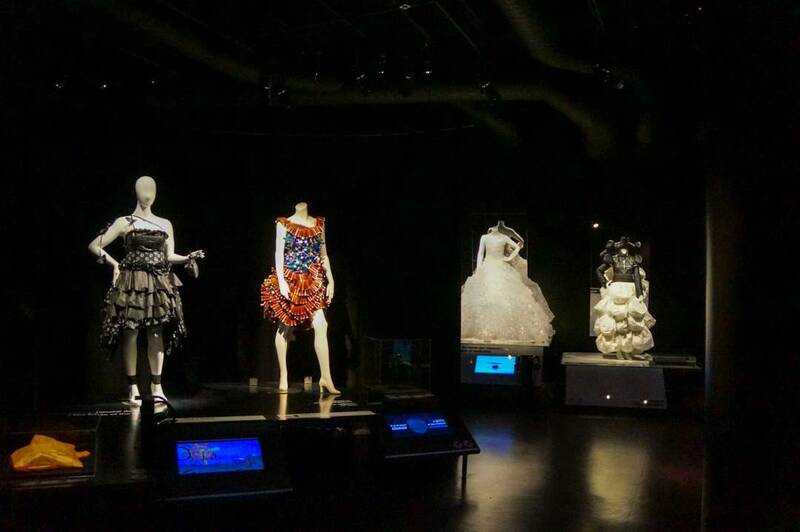 My favourite exhibit at the Museum of the Environment had to be the fantastic sustainable fashion dresses. Each dress is made from products like batteries, pill boxes, aluminum drink cans and even the tape from old music cassettes. After wandering through the exhibits and watching a short film I headed up in the elevator to the observation platform! The view from inside the metal Biosphere is spectacular. I can see the two islands of Jean Drapeau park and the City of Montreal. 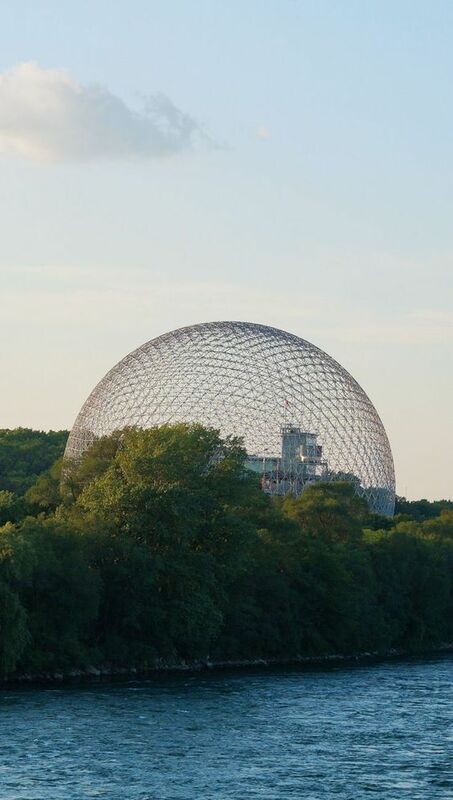 Now that I’ve been inside the sphere, I start to wander away and follow the paths of the Parc Jean-Drapeau. 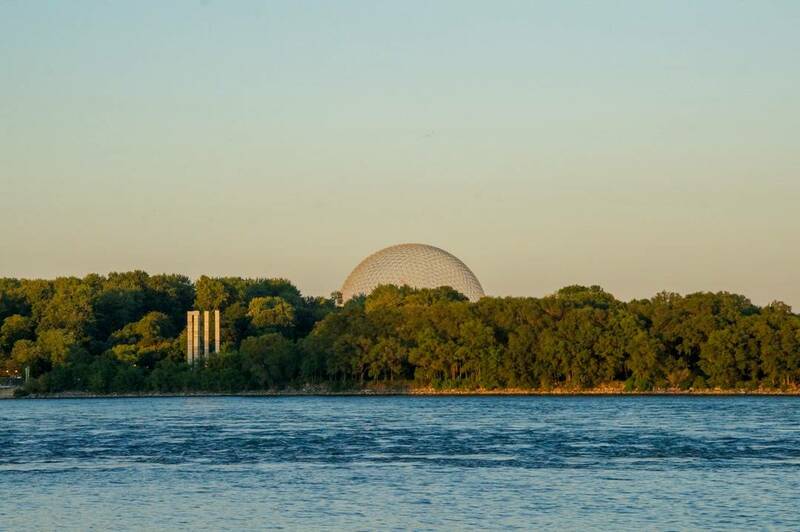 Spread over two islands Île Notre-Dame and Île Sainte-Hélène the park features many attractions including La Ronde the six flags amusement park, Casino de Montréal, an Olympic swimming pool, a beach and many paths for walking, rollerblading and biking. 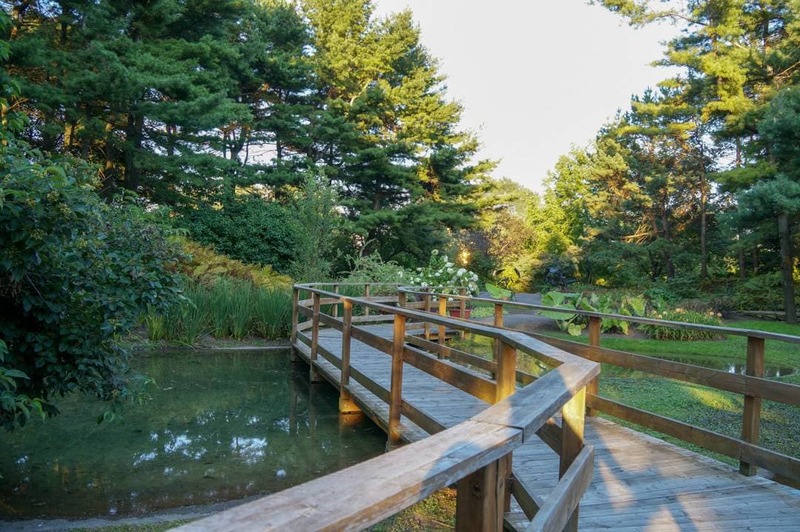 If you prefer a nice walk, then follow the paths and discover some beautifully manicured gardens. There were several sculptures and features along the way as I walked around Île Notre-Dame. 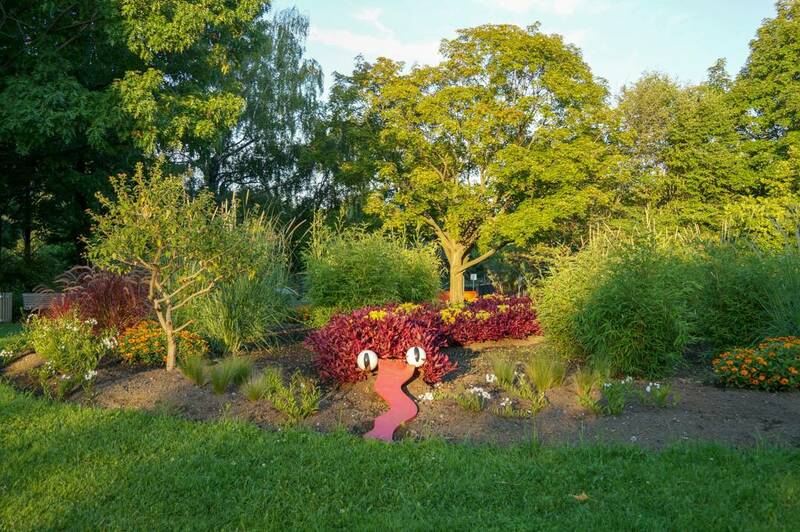 I wish I had more time to explore the many features of the park but the City of Montreal was calling me back! 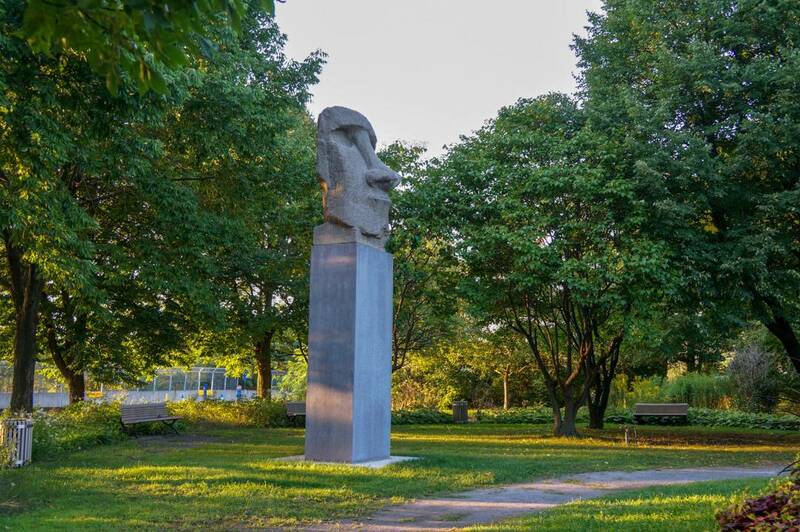 If you would like to enjoy a relaxing walk through nature, then don’t miss the Parc Jean-Drapeau just off Montreal’s Old Port. 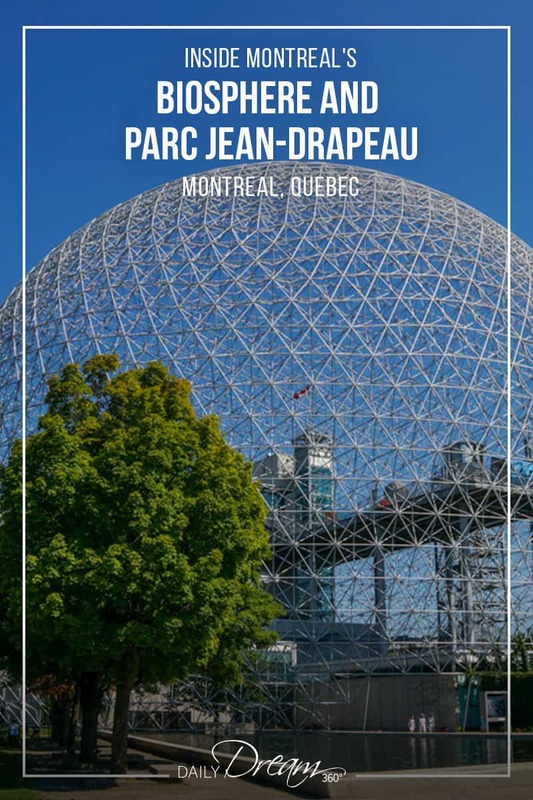 Do you have a favourite spot in Montreal? Let me know in the comments below I’d love to hear your stories! Disclosure: Travel support on this trip was provided by Tourism Montreal. Sharon Mendelaoui is a freelance travel and lifestyle writer, passionate photographer and creative designer. She is the founder and publisher of dreamtravel360.com, a Canadian travel and lifestyle website featuring our favourite travel destinations, fashion and beauty tips and a selection of lifestyle articles, reviews and posts on everything you may need to live a balanced Daily Dream 360° life. 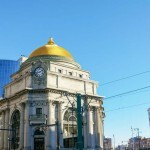 Nice Building in Montreal !